Over the course of nearly two years, we called, video-chatted, and met with all types of people, all around the country, with varying investment strategies, financial goals, and account balances, to determine what real people actually want in an online investment platform. And in many cases, we met with people who have never even invested before. Simply put: we listened, and now we’re delivering. 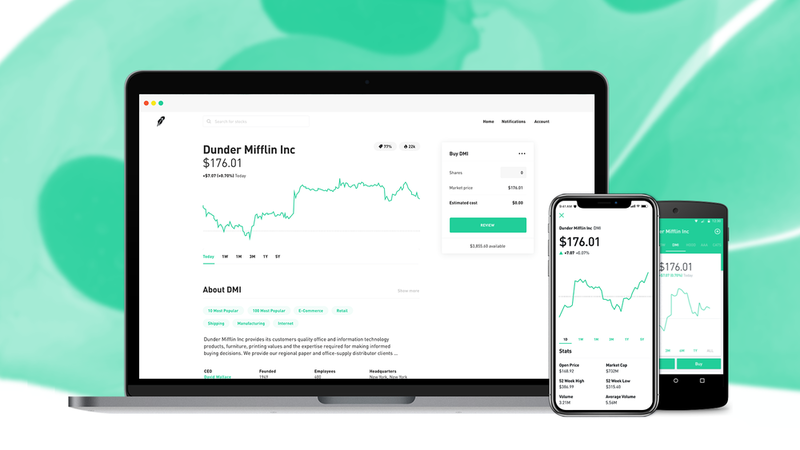 Today, we are unveiling Robinhood for Web, a brand-new web platform with expansive research and discovery tools aimed to make you a better-informed investor. We’re inviting people to Robinhood for Web starting today, with everyone getting access around early next year. Discover new stocks through Collections, organized by sectors such as “Gas and Oil,” “Entertainment,” and “Social Networks,” as well as curated categories such as “2017 IPOs” and “Female CEOs.” All Collections are interactive and easily sortable by various factors to allow for side-by-side comparisons. For each stock, view the average share price Robinhood investors bought at, as well as the current share price. This aggregated data serves as a reference point for investors thinking about entering a position. Scroll through a list of stocks Robinhood investors also bought in addition to individual stocks. This feature helps surface competitors, suppliers, and more. View buy, sell, and hold ratings from Wall Street analysts and read commentary from Morningstar analysts. Review earnings information such as EPS hits or misses going back eight quarters, upcoming and expected EPS, as well as listen to live earnings calls. Read the latest headlines and market coverage in a personalized newsfeed, and glance at company fundamentals such as Market Cap, Price-Earnings Ratio, Volume, and more. These features will make their way over to iOS and Android early next year, too. Thanks to your support, Robinhood’s the fastest-growing brokerage ever. We just crossed three million users and over $100 billion in transaction volume. Together, we’ve saved over $1 billion in trading fees -- that’s money back in the hands of everyday Americans. We look forward to hearing how people use Robinhood for Web - stay tuned for more exciting updates over the next few months!